Fast forward to last weekend. I was waiting for my son to get out of Karate class, and at 11:45 KLOS announced the Stones were doing a surprise concert at the Echoplex that night and tickets would go on sale at noon. The Echoplex is a small venue and they were selling 350 tickets at $20.00 each. He was NOT going to help me get tickets and I was NOT having any sympathy for the devil! I remembered my sister Holly had been in LA the night before at the Viper Room so I called her. And guess what? She was on a tour bus! She just moved down from Seattle and still hasn’t got all of the touristy things out of her system. (“American girls want everything in the world you can possibly imagine!”) She was almost as upset as I was, but managed to make it to the box office an hour late only to meet a line of people 4 blocks long. So, yesterday I decided to trace my roots. I drove to the house in Anaheim where I grew up to see if my cement carvings were still there, and they were! (I remember my mom wasn’t too thrilled when she noticed this.) 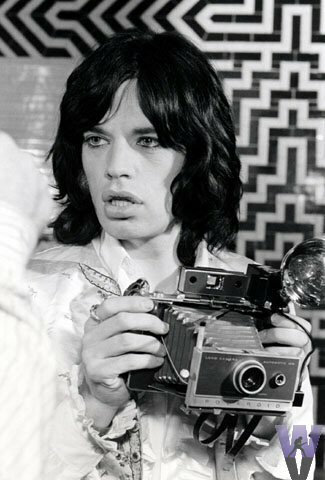 It brought back good memories of my love for music, fashion and of course Mick!. Oh, and look at the date (end of argument). 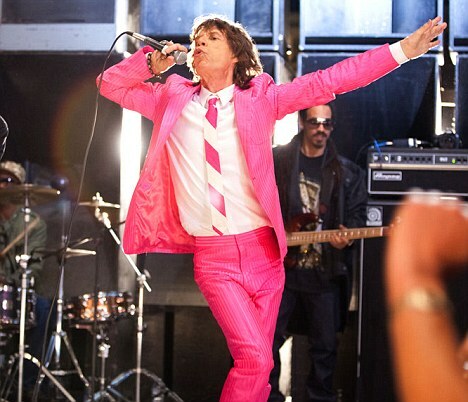 Perhaps Mick has inspired my fashion career, I mean just look at those diverse outfits. His wardrobe is different every time, eclectic, and not married to one idea or look. And, maybe I have had an emotional affair, but that’s kind of hard when the other person doesn’t even know you exist. (Hopefully this outreach will change that.) 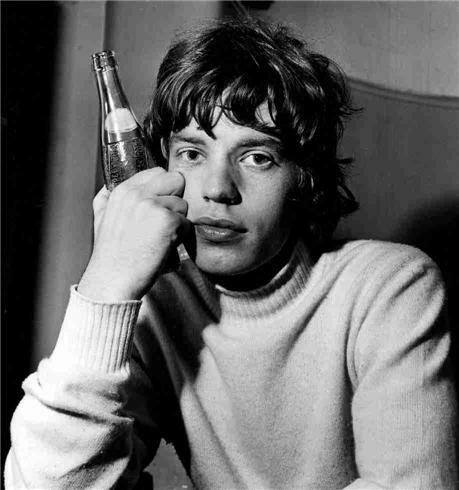 Even though I didn’t get tickets to the intimate show, “once you start me up, I’ll never stop.” My destiny with Mick awaits! PS I’ve got a really good idea! 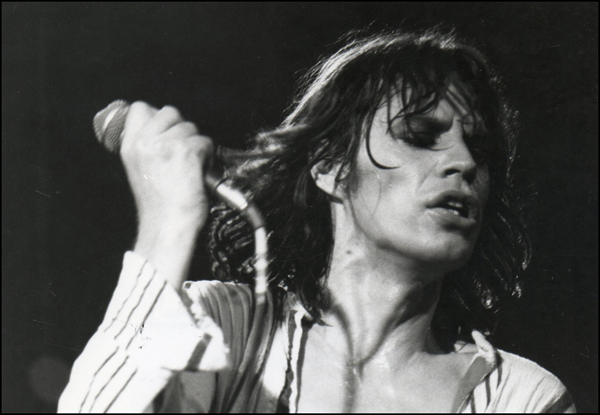 How about when you play in Anaheim, you call up your biggest Anaheim girl fan, (that would be me) who carved your name in her mother’s freshly poured concrete, and we sing Beast of Burden together? OMG! Brilliant! I’ll start practicing. “There’s no time to lose, catch your dreams before they slip away!” I’m serious! Click here to see one of my favorite songs live. This Blog is Hilarious…. This is Steve, and you all have know Idea what I had to deal with in 1982 with this women. Maybe I should blog the other side of this store. HAHA, Love you Julie. 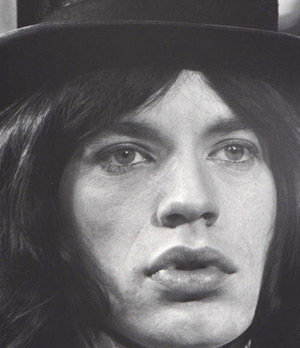 And I’m not saying Julie Jagger… EVER!